In BP go to Settings → Staff / Users → Add new staff member. Add ’99rabbits Robot’ as a new staff member. Use our email stas@99rabbits.com for him. Then edit new user permissions → turn everything off except ‘API access’. Hit “Add private app” green button to the right. Fill in the form like this: Change ‘your account’ to your actual BP account name. Copy app identifier (third step) somewhere. You’ll need to send it to your private app developer. Choose your newly created staff member 99rabbits Robot in the selector to the right and click ‘Add’ button. Now you’ve connected your robouser to the app. You’re going to be presented with the user’s token. 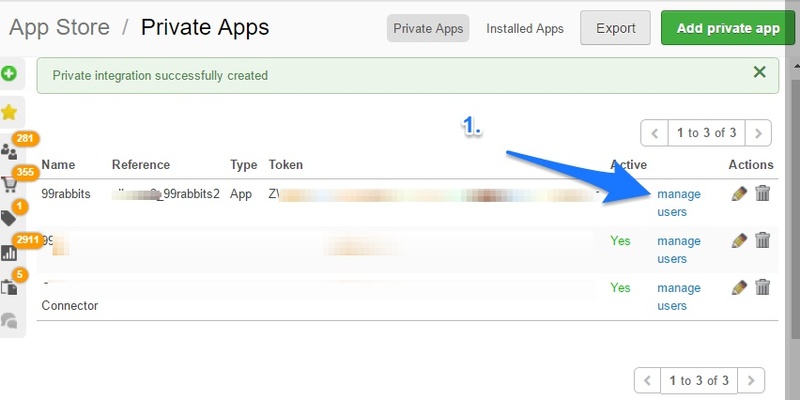 Copy the token you’ve generated on the previous step and hand over to your private app developer. 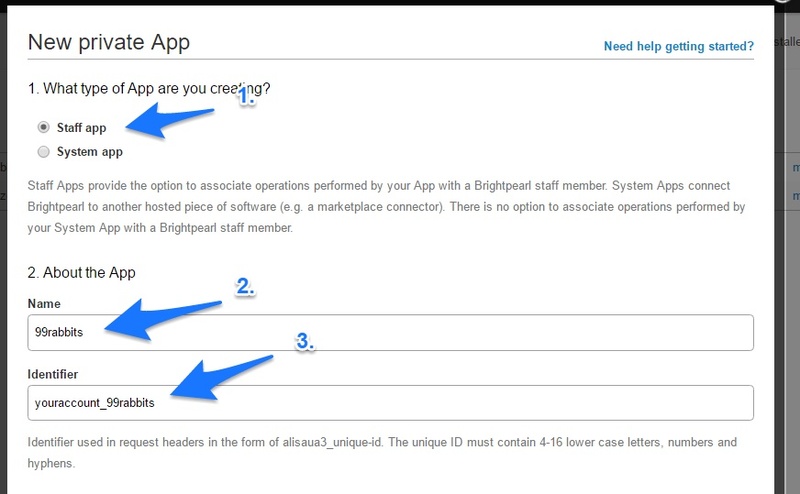 He’ll also need your app identifier, which you filled out on step 2. You also can find it here: App Store → Private Apps → app reference column. Now everything he does to your BP account will be marked as this robouser actions. You’ll be able to filter his activity on the recent activity screen.